Now, I feel like it would be a little silly to call this a recipe, because the breakfast sandwiches I'm making here aren't anything unexpected. But, breakfast is something that can get old if you're making the same thing every day, so I'm encouraging you to spice it up! I usually keep a rotation of Greek yogurt and berries, cereal, and these breakfast sandwiches, so I don't get bored with one thing day after day, but I'll be throwing more recipes on the blog and into my own rotation soon, so stay tuned for more ideas to follow! This is just in time for back-to-schooling because you just have to take a sandwich out of the freezer, throw it in the fridge the night before, and then microwave for 45 seconds. 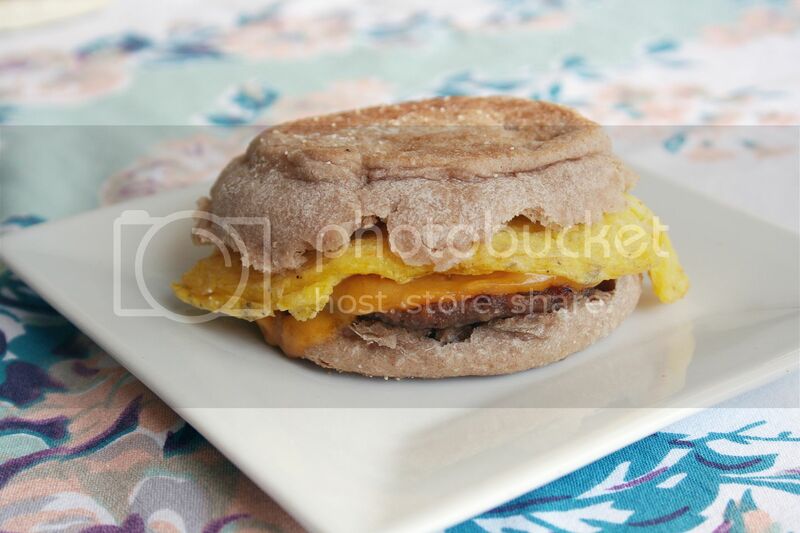 Viola, a hot and hearty protein-filled breakfast awaits you! 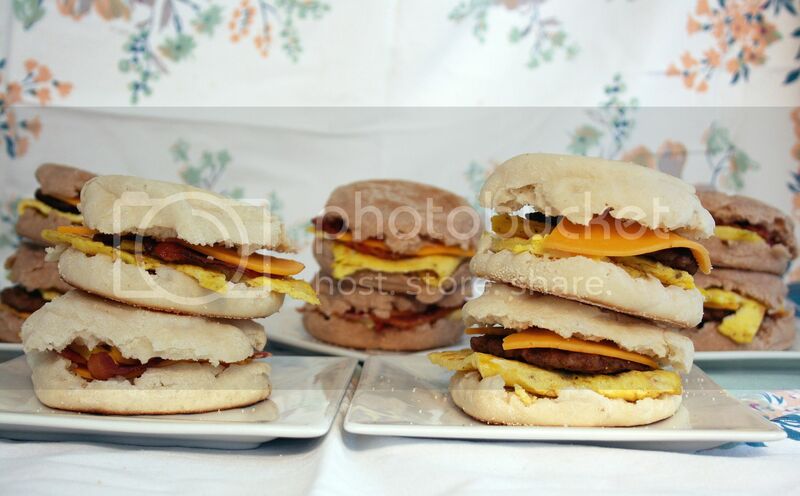 I did a mixture of both bacon and sausage breakfast sandwiches (again, all about that variety), and I mixed up both wheat and white English muffins. Put a small pan on the stovetop on medium high heat and add a slice of butter. Scramble eggs in a small bowl in groups of three, with a dash of salt and pepper, adding to the small pan and turning once the butter has melted. Repeat until all eggs are in 3-egg patties. 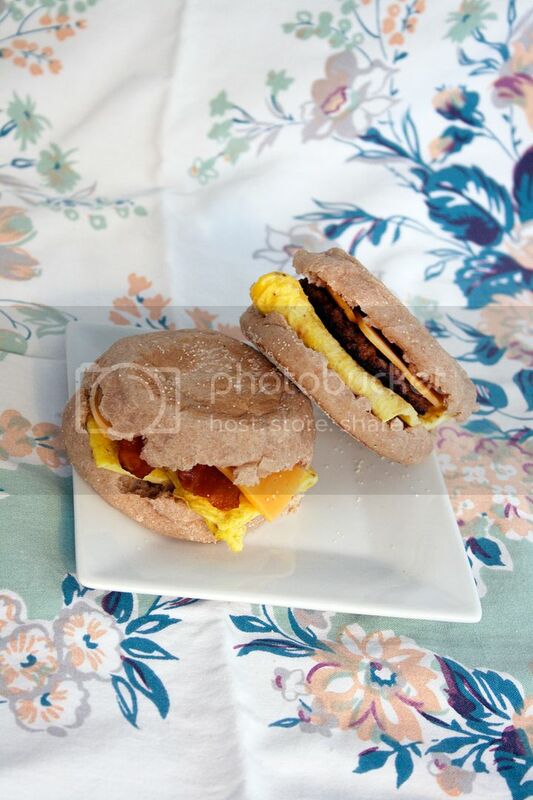 After the egg patties are cooked, cut them in halves. 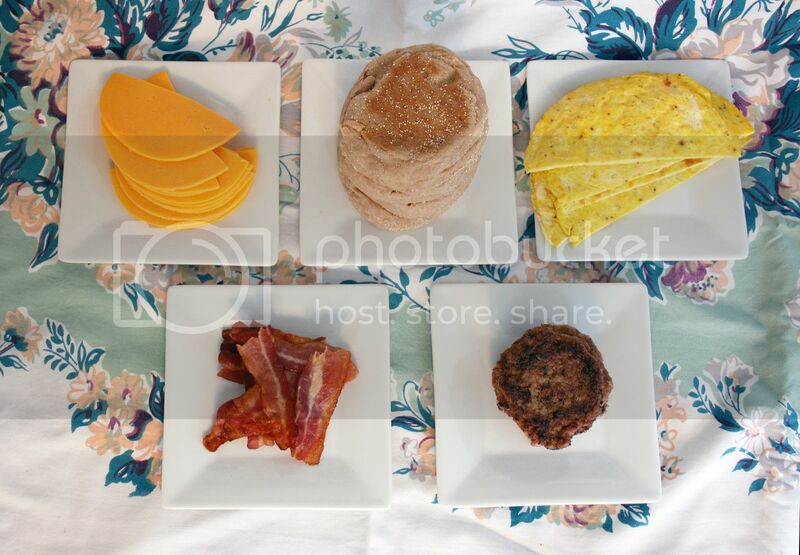 Assemble all of your ingredients and place: a folded egg half, a folded cheese half, and either 3 short pieces of bacon, or a sausage patty. Repeat until you've used up all of your ingredients. 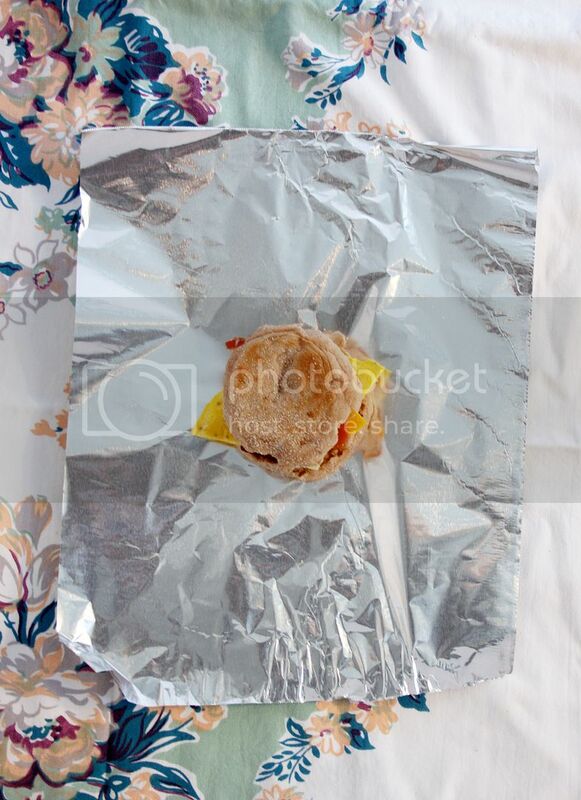 Wrap each sandwich in foil and label (unless you love surprises!) and store in a Ziploc bag in the freezer. Before eating, place in refrigerator overnight. Microwave for 45 seconds-1 minute to reheat. (You could also defrost in the microwave if you forget the night before). Now, with this supply on hand, you surely won't miss the most important meal of the day! Thanks! I usually grab one on my way to work, too. So great to have on hand and they reheat really well! Honestly I came about doing these large batches because I had way too many farm fresh eggs on hand and wanted to find a use for all of them. Now, I just make up a batch every few months because it's so much easier to do a bunch at once! SO easy (especially when your wife makes them and they are waiting for you in the freezer...THANKS KATIE) and super delicious. 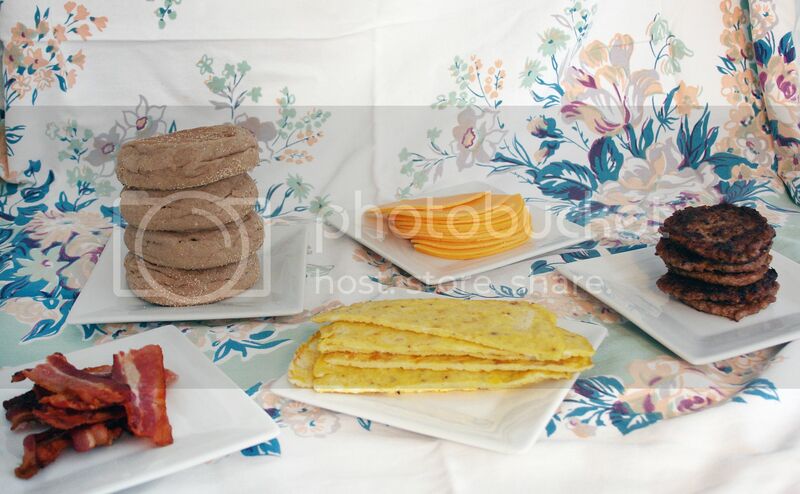 That's the best part: after initially preparing them, they require almost no effort for a hot and tasty breakfast! So glad you (BUT MOSTLY KATIE ) tried them out and that you're enjoying them!